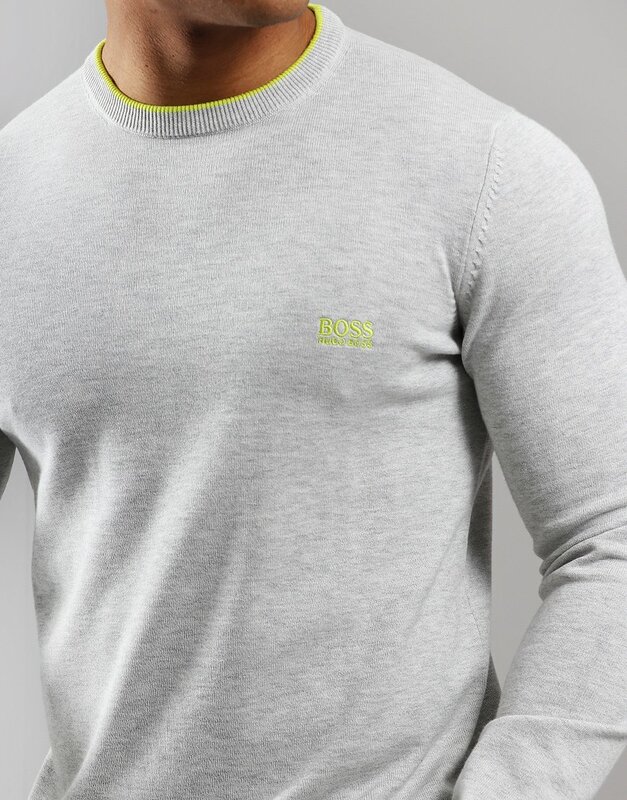 "BOSS Rimex Cotton Crew Sweat Light Pastel/Grey" was added to your basket. 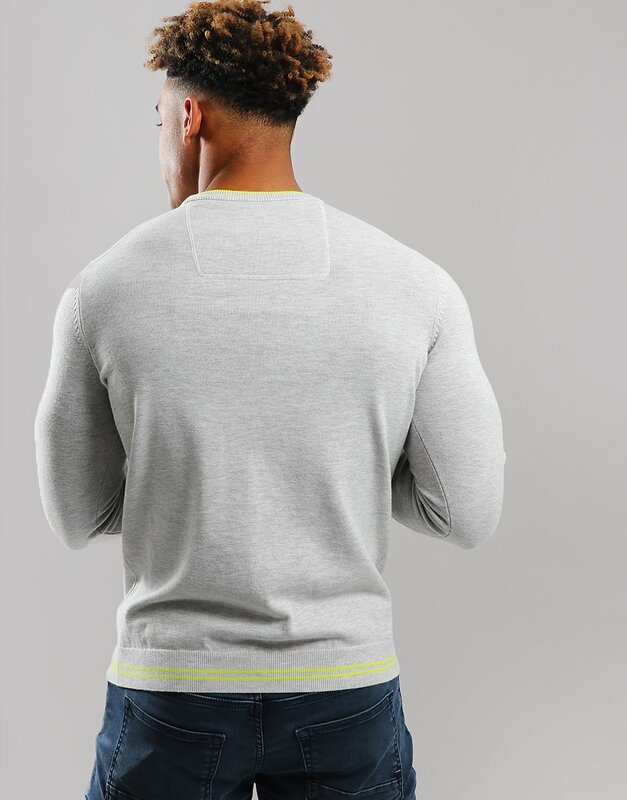 A regular-fit sweater by BOSS Menswear, knitted in a cotton blend with stretch for freedom of movement. 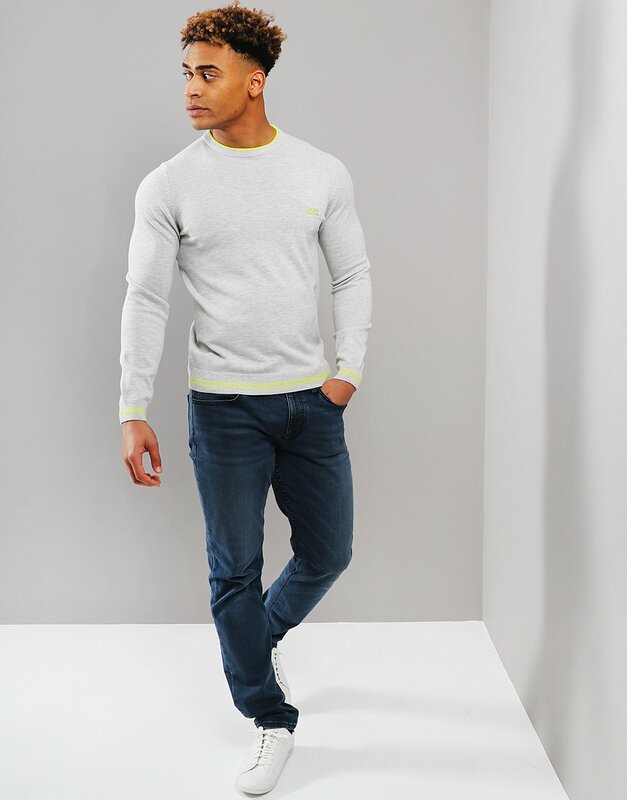 Styled with a crew neckline and fully fashioned sleeves, this comfortable sweater is detailed with a logo intarsia at the inner collar and tipping stripes at the collar, cuffs and hem. 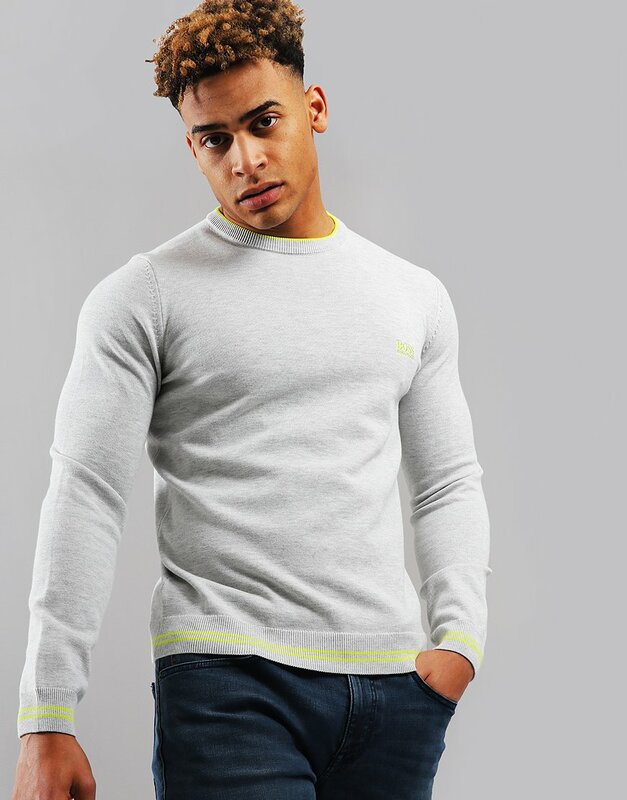 A logo accent at the chest rounds off this sporty wardrobe basic.